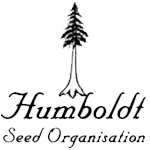 Humboldt Seed Organisation - Bubba's Gift. Free US delivery. 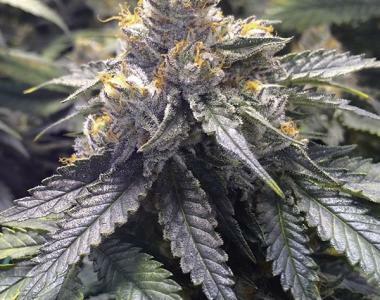 Bubba’s Gift is a feminized Indica-dominant cannabis strain that provides the possibility to cultivate one of the best Indica marijuana seeds available nowadays. If you buy Bubba’s Gift cannabis seeds, you will discover a highly perfumed strain which is a treat for the taste buds. Bubba's Gift is a marijuana plant whose lineage proves its quality. With such amazing origins, Bubba Kush and God's Gift, the result is exactly what could be expected: a magnificent, hardy and compact plant oozing quality from every pore. Its dark green leaves acquire incredible purple hues during the flowering period. The use of anti-odor filters is required given its strong scent. If properly taken care of, it will deliver numerous golf-ball-shaped compact buds. Despite performing well both indoors and outdoors, it isn't particularly fond of humid climates. Bubba's Gift features excellent aromas and tastes: very exotic, with fruity nuances that bring to mind the "Piña Colada" cocktail but, on this occasion, with an fuelly and spicy aftertaste. Its effect will take you on a fascinating trip to a state of full relaxation. Perfect cannabis strain for those who need a relaxing effect for recreational and medical use. From a therapeutic point of view, it is an amazing appetite booster and an incredible muscle tension reliever.